The two lucky winners of the recent Twistfix competition will soon be celebrating the New Year with a brand-new iPad Air! Our competition was open to anyone who left a product review or joined our circle on Google+ and we would like to say a big thank you to all who entered. 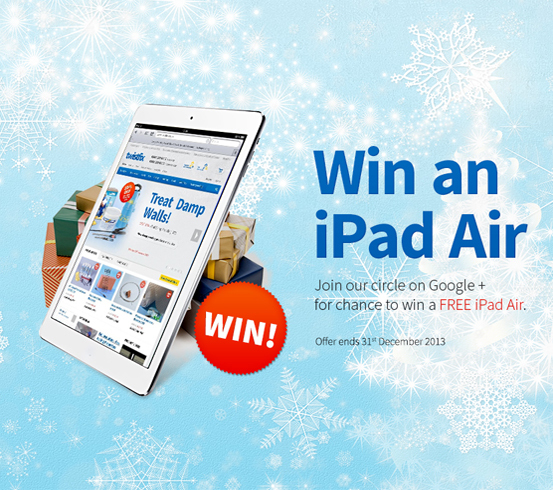 The winner of an iPad Air in our Product Review category was Paula Hush from Bedfordshire. 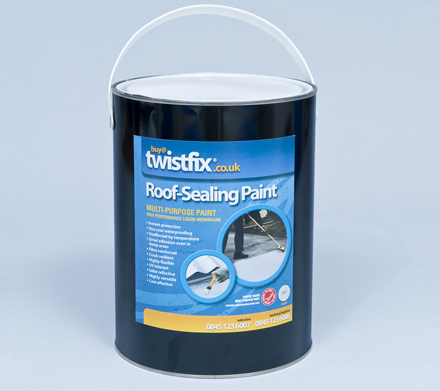 Paula purchased Roof Sealing Paint from Twistfix to fix a leaking stable roof and clearly enjoyed her experience with Twistfix, stating that she "found the website very easy to use; the products were well categorised and easy to find". Our trademark swift delivery time also impressed Paula, who received her high-performance acrylic roof sealant paint just 25 hours after ordering. Finishing her review, Paula said, "Who can ask for more?". Our second winner is Jason Sutcliffe from Lancashire, who will also be receiving his fantastic prize soon. Jason is a warehouse worker for a builder's merchant and joined our circle on Google+ to confirm his entry to the competition after using some Twistix insulation fixings on his home improvement project. After Facebook, Google+ is the biggest networking site online and offers the opportunity for businesses to make many useful and profitable connections. Members of our Google+ circle will receive instant updates from Twistfix, with details of new products, exclusive special offers and more. 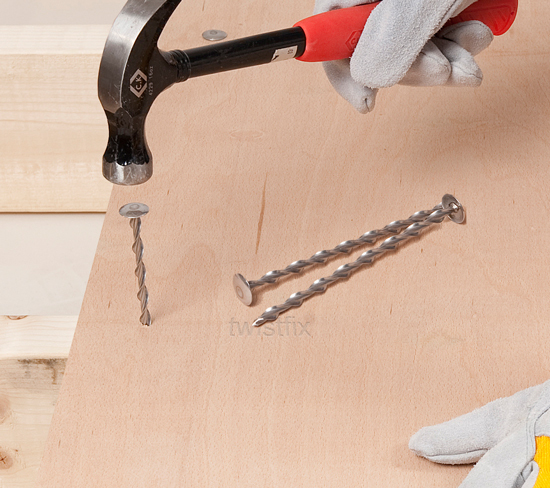 Make sure you are fully connected with Twistfix in order that you don't miss out on any updates. As well as Google+, there are many other ways you can interact with us including Twitter, Facebook, RSS, LinkedIn and by subscribing to our regular newsletter. For information on our range of professional basement waterproofing, spray foam insulation, damp proofing, masonry crack repair, condensation control and mould removal products, please contact our dedicated customer service team on 0845 123 6006 or email us at sales@twistfix.co.uk.